Boat complete taken apart and totally rebuilt, everything new completed in 2005. New Fresh water cooled 502, blower, bravo 1, all bullit proof and totally dependable, approx. 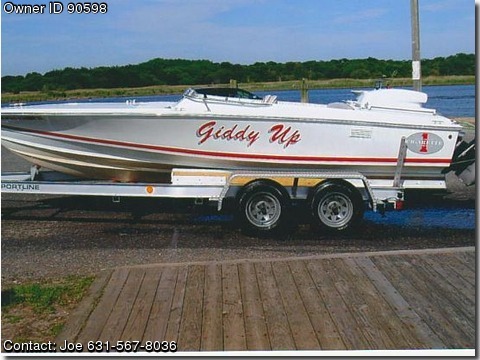 88 hours, never abused, beautiful boat, custom Aluminum tanden trailer. Health forces sale of this fine boat. She is really a cream puff. Motvated seller, make an offer call Joe 631-567-8036.